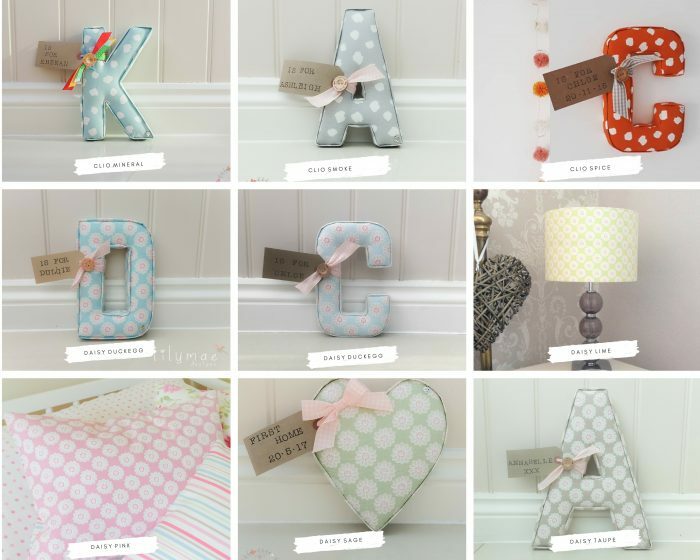 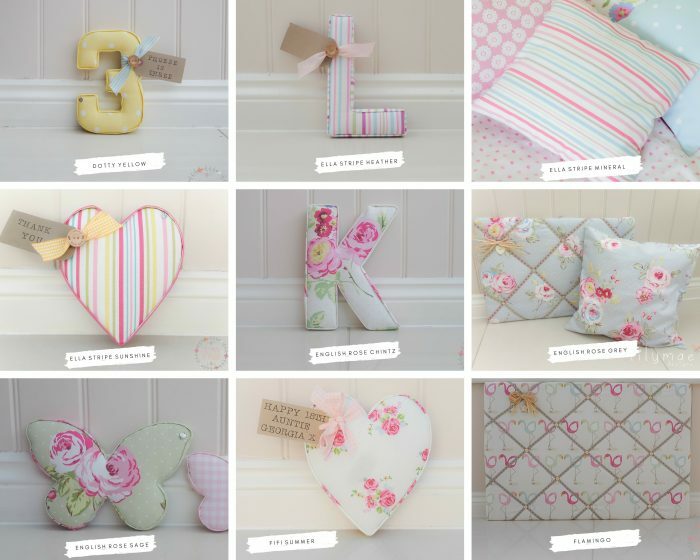 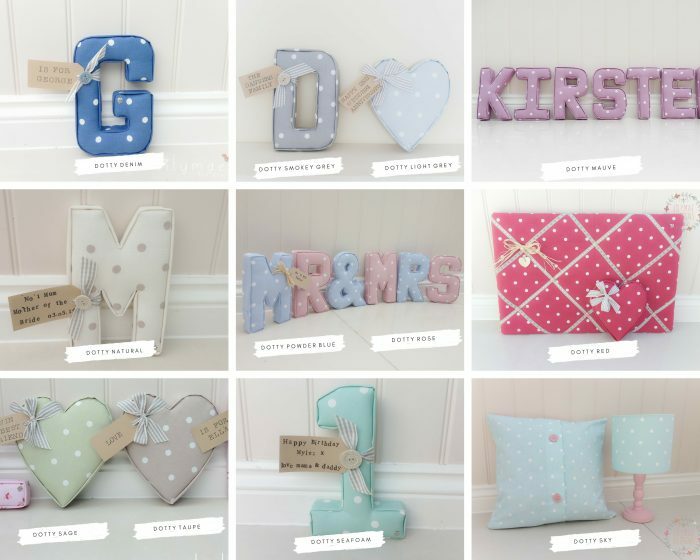 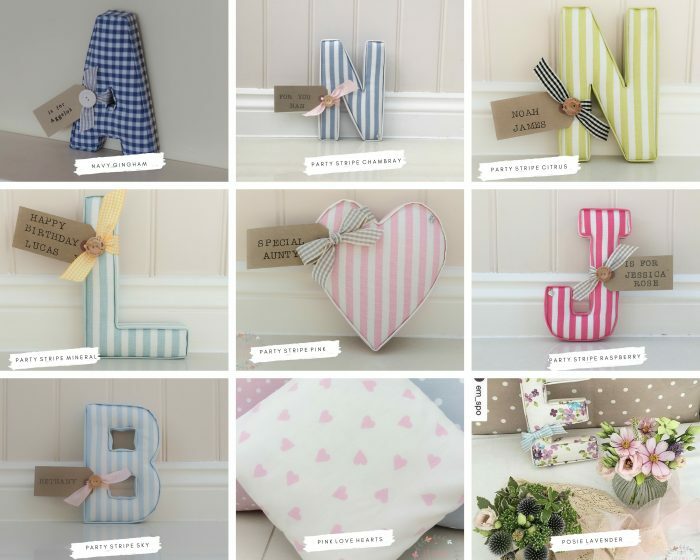 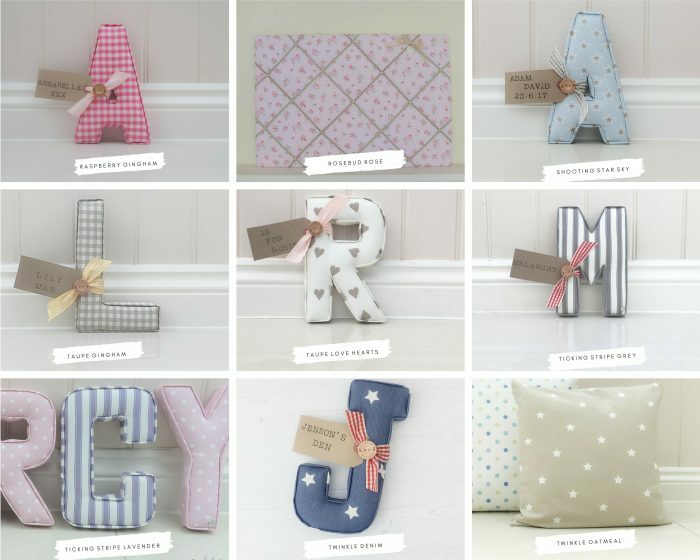 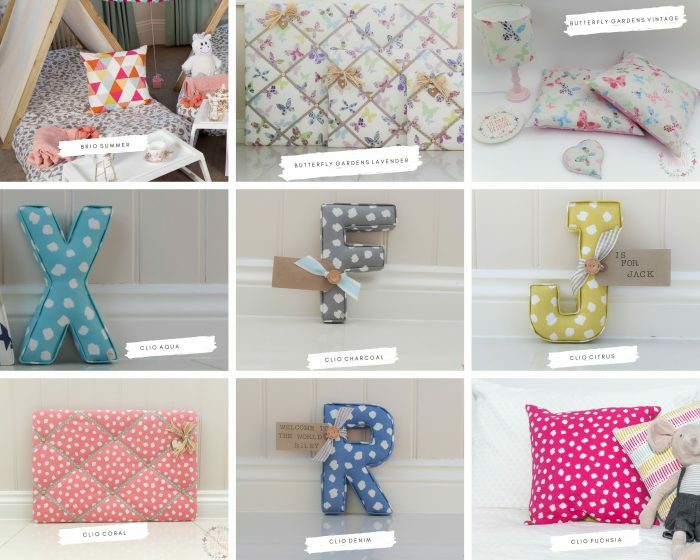 Here we showcase our fabric for letters, we’ve selected over 90 fabrics which we think you will love just as much as we do. 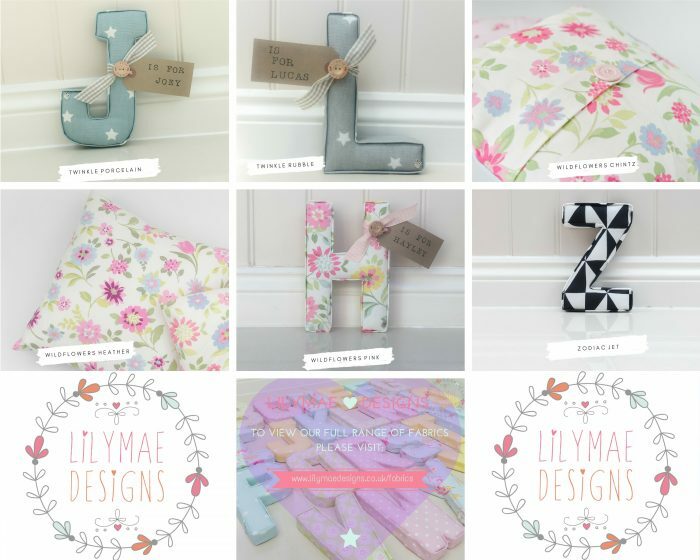 All of our products can be made in any of these meaning you can choose something thats completely custom to you. 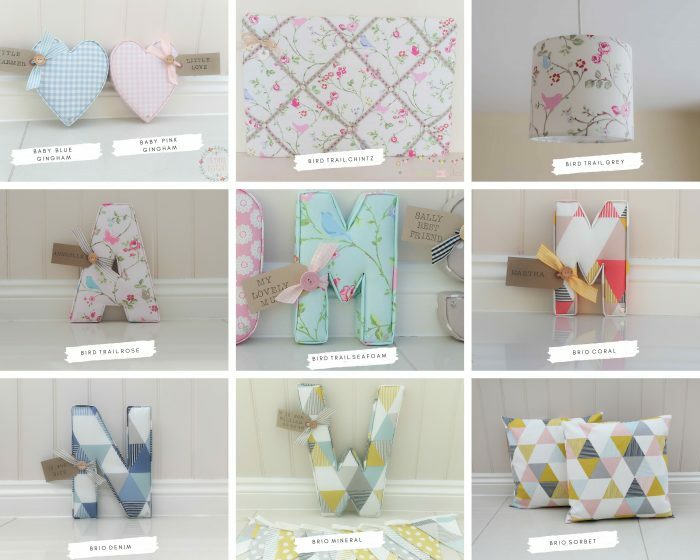 To ensure our products are of the highest quality, the majority of our collection is made up of two British designers, as well as a few we’ve spotted on our travels & just had to add to the ever growing collection. 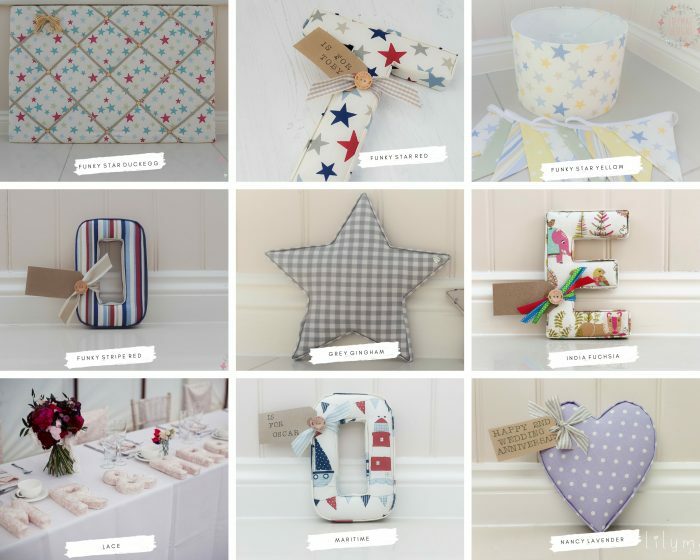 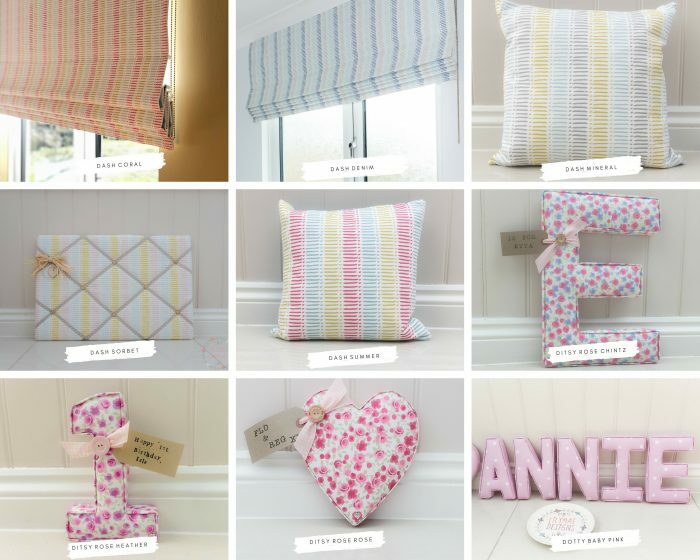 All of the fabrics we offer are designed & made here within the UK.